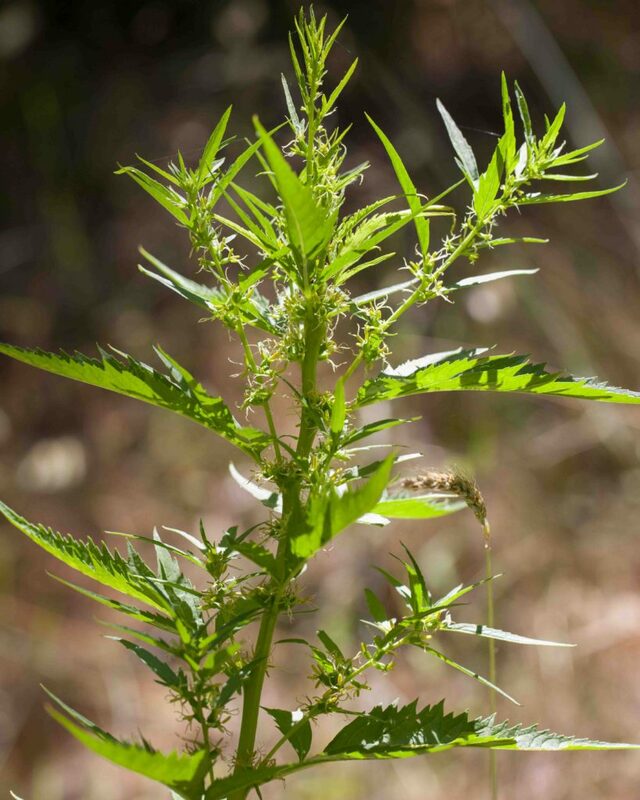 This resembles a tall nettle with its long, slender, sharply toothed leaves. 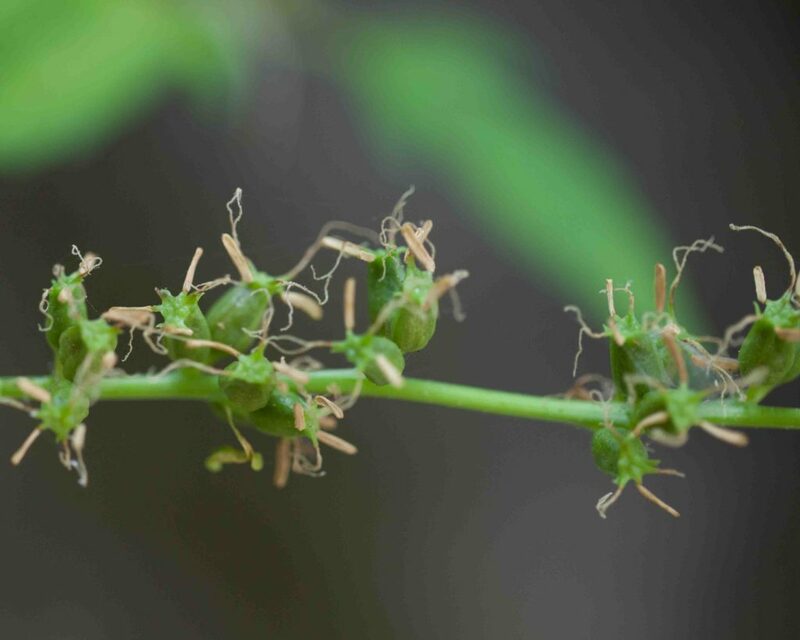 It has many small flowers with multiple filaments but no petals. 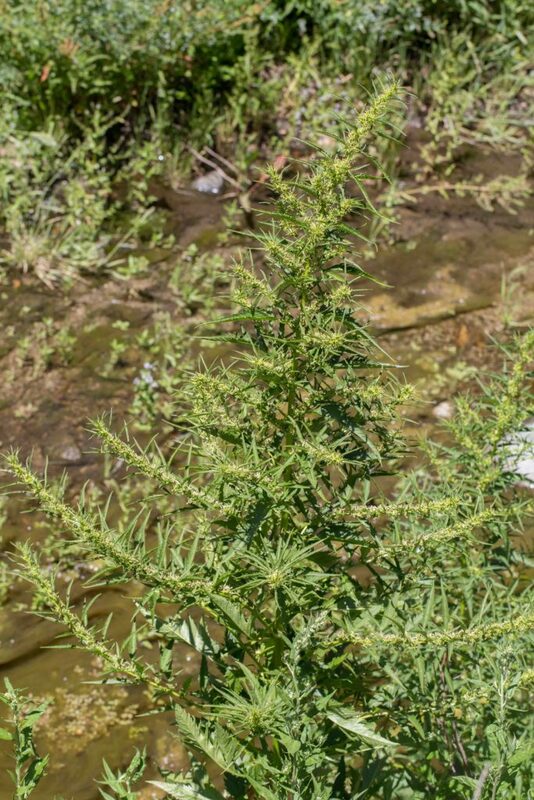 It belongs to a rare group of plants that are androdioecious, i.e. having separate male and bisexual flowers but no separate female flowers. The bisexual flowers have 2–4 stamens, 3 forked thread-like styles and a 3-angled ovary. 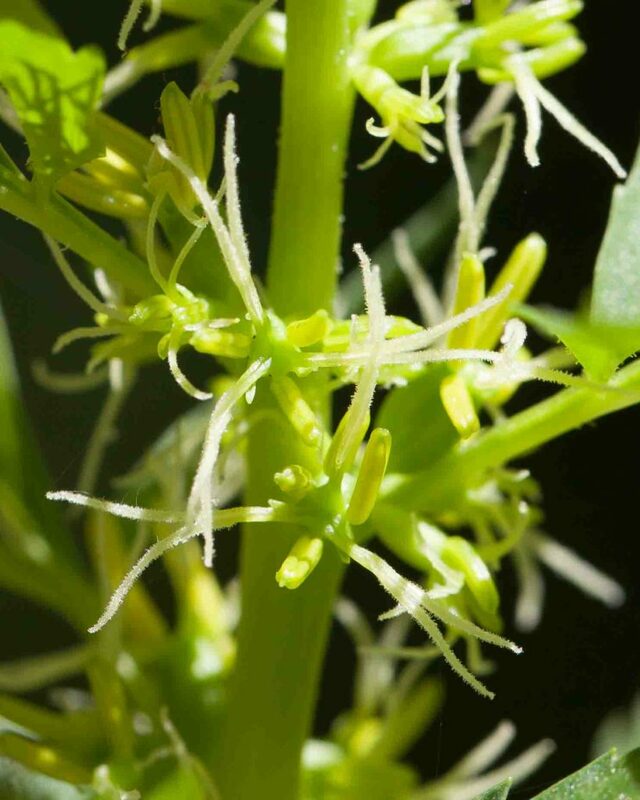 Male flowers have 8–12 stamens with short filaments.